We are Aleafia Health. We improve lives by consistently delivering and innovating cannabis health and wellness products and services. Aleafia Health’s integrated science and data approach drives our transformational purpose of excellence for the consumer cannabis experience. With Canada’s largest cannabis medical clinical network, we continuously optimize health and wellness so individuals can live their best life. 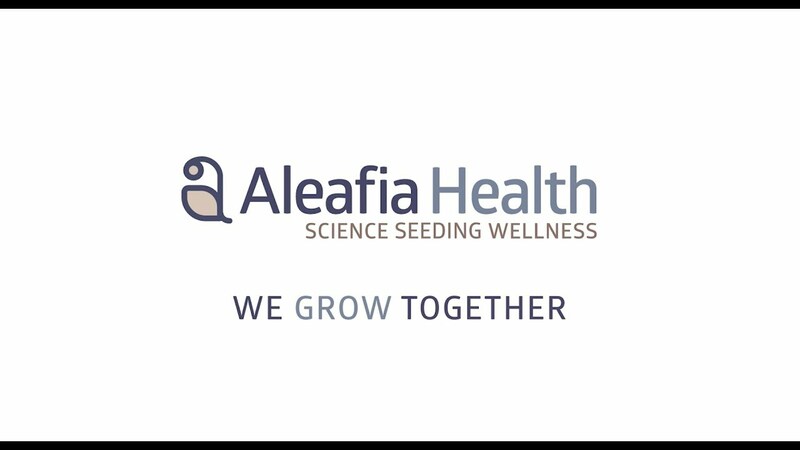 Aleafia Health is committed to being the world leader in providing physician lead innovation of cannabis health and wellness care based on data, research and experience. This acquisition creates a global market leader in cannabis health & wellness, driving shareholder value through numerous synergies. Combined, this medical cannabis leader will have renowned national brands, a robust footprint in value-added products and international growth opportunities. We're leveraging our extensive cannabis patient experience and professional expertise to deliver interactive courseware, gamification, and certifications for the global community. We work to ensure the global community engages responsibly on cannabis health and wellness. We have launched our new logo, as we lean in to our pursuit with continuous innovation, research and development; we are creating the the industry’s most reliable cannabis health and wellness consumer experience. Our evolution is not change for change’s sake. That said, change is inevitable, and exciting to us to embraced, lead and share within the global health and wellness cannabis consumer experience to improve lives thru health and wellness. Aleafia Health will live the pursuit of continuous innovation, powered by technology to scale globally. Aleafia Campuses are our product innovation hubs where we grow our ideas into global leading innovation and are the core of our cannabis life cycle for health and wellness. Our team’s innovation through patient experience, studies, and cultivation fuels our focus on quality and the consumer cannabis experience. Aleafia Health’s global commitment to launch a retail cannabis business was accelerated and backed by a $10 million investment by Serruya Private Equity (SPE). The shared vision of building and scaling a retail cannabis network with immediate national reach and global expansion plans is supported by a joint venture and equity investments in Aleafia Health and OnePlant. Aleafia Campus Labs has partnered with both Guided 420 Genetics and AKESOgen on a first of its kind cannabis related pharmacogenomics study. CEO Geoffrey Benic shares details of the company’s 2019 plans and believes investors are beginning to see the potential of Aleafia’s merger with Emblem Corp.